Distinguished by its fine-textured summer leaves and its informal spreading habit, honeylocust is a ubiquitous medium to large deciduous tree native to the central and eastern United States and extreme southern Ontario. Most garden honeylocusts are sterile, non-fruiting selections of the thornless variety Gleditisia triacanthos f. inemris. NOTE: Thornless Honey Locust is never 100% thornless when propagated from seed. The bright green, pinnately compound leaves of this cold-hardy tree cast filtered shade. They flush relatively late in spring and turn dull yellow in autumn. Fallen leaves create relatively little mess. The trunk has gray-brown, shallowly fissured bark, and lacks the formidable spines typical of most honeylocusts. Inconspicuous greenish spring flowers appear in clusters in spring. Fertile forms of this tree bear large flat red-brown seedpods which litter the ground when shed in autumn and winter. 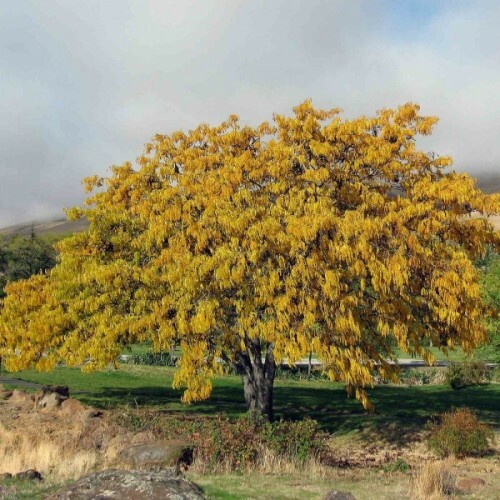 Honeylocust likes sun and is adapted to a wide variety of soil types. Thornless selections make good shade trees, although overuse of this tree has led to increasing insect and disease problems. This tree can self-sow, invasively in areas such as eastern Australia. Seeds need to be scarified before the sowing. To do that, pour hot (not boiling!) water +70-+80C (160-180F) over them. Let soak for 24 hours. Swollen seeds are ready to be sown immediately. Only swollen seeds are ready to be sown. If seeds remain not swollen, repeat the hot water treatment until it will. After scarification sow in trays of good quality compost 10-12 mm (1") deep. Germination time - around 4 weeks at +15-+20C (60-70F). Attractive biennial cut flower with delicately lined blooms.Blooms in profusion. 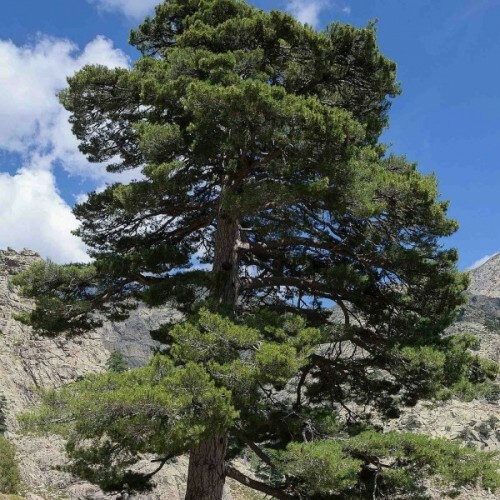 Long lasting wi..
Japanese black pine, a native of eastern Asia, is an evergreen tree with stiff, dark green, twis..